Ellis Injury Law is a full service law firm, handling a wide range of cases, from slip and falls or dog bite lawsuits, to fatal motor vehicle crashes and other wrongful death cases. Each expert personal injury attorney at our practice brings extensive knowledge of California law to the table, but also rely upon a network of medical experts, engineers, economic loss adjustors, private investigators, crash data analysts, safety inspectors, and other credible witnesses who can provide top-notch testimony that supports the facts surrounding your case. Our comprehensive approach to fighting for justice for our clients really works, as the numbers don’t lie: we have a success rate of 99% for the cases we take on! Bakersfield Personal Injury Attorney- Andrew L. Ellis Andy Ellis is one of the most successful Personal Injury Lawyers in California. Meet Mr. Ellis and find out how he helps his clients who have a personal injury case. http://ellisinjurylaw.com. When you call Ellis Law, you don’t just get the an award winning team of lawyers; you get a whole community dedicated to building a case that is likely to win. Our Bakersfield location is just one of our 20 California law firm locations. We believe our clients shouldn’t have to travel far to find quality representation for their injuries. We will even come to your hospital bed or home if necessary. When you come to us for an initial consultation, we review the facts and circumstances of your case at no cost to you. If we take your case, you will only be charged if we win. The Ellis Injury Law Firm charges a contingency fee, which is a predetermined percentage of your compensation paid only if you receive a settlement or jury award. Trial and litigation costs will also be deducted from any damages you receive — but again, only if we win your case. Will Ellis Injury Law Take on My Case? At Ellis Injury Law, our attorneys handle a wide variety of cases, ranging from minor injuries, such as a sprained ankle, to the tragic death of a loved one. Injury cases are decided on issues of negligence. The law states that negligence occurs when a reasonable person knew or should have known that a situation was dangerous, was responsible for the situation, had sufficient time to render it safe by fixing or eliminating the situation, and did not do so. In other words, a careless driver who sees a stop sign but doesn’t stop is likely negligent. A construction company who does not repair a gaping hole for months is negligent. A doctor who overprescribes may be negligent. An owner whose dog bites a child may be negligent. The manufacturer of an exploding toy could be negligent. A landlord who fails to replace burned-out light bulbs is negligent if his tenants cannot see in the dark and fall down a flight of stairs. If you have been injured by negligent action, you may bring a case to recoup the cost of medical and hospital bills, loss of wages from missed work time, retraining for work, and more. If a family member has been killed due to negligent action, injury law in California provides that other family members can bring a wrongful death suit to recover damages. We are here to help you recover damages if you were injured or a loved one killed due to negligence. This is only a partial list. We cover many more types of serious injury claims, including wrongful death. Ellis Injury Law is an accident and injury firm dedicated to serving clients in a wide range of cases in southern California. We handle personal injuries caused by everything from slip and falls to motor vehicle collisions to exploding kitchen appliances. We are proud of the resources and expertise that let us take on the many hours of preparation that go into preparing witnesses, taking depositions, exploring every possible legal issue in the case, and aggressively negotiating with counsel for the defense to make sure our clients receive fair and just compensation. Ellis Injury Law has won multiple accolades in its two decades of practice. Senior Partner and founder Andy Ellis has been named to the prestigious list of The Best Lawyers in America© for 2017 and 2018. He was also named by Expertise.com as one of the “Top 19 Car Accident Lawyers in Los Angeles”. Ellis Injury Law has long been a member of Super Lawyers® and of the Top 100 Trial Lawyers®. Our firm is also a member of both the Million Dollar Advocates Forum and the Multi-Million Dollar Advocates Forum. Our lawyers are members of the prestigious American Board of Trial Advocates. Andy Ellis has secured more than $250 million for his clients over the last five years. Not only is he renowned as a winner, but he treats every client like his only client, delivering compassion, dedication, and personal attention victims of traumatic injury and their families deserve. Attorney Andy Ellis is a devoted advocate for those seriously harmed in vehicle crashes. From pedestrian injuries and bicycle accidents to high speed car crashes and rollovers of 18-wheelers, Ellis Injury Law is ready to fight for those injured on Southern California roadways. Ellis Injury Law’s mission is to give each and every plaintiff we represent the personal attention they deserve. We strive to assist our clients in putting their lives back together by working with integrity, compassion, and honesty. In doing so, we will accept nothing less than the maximum compensation allowed by law for our client’s injuries and other damages. Insurance companies know they have to settle for the maximum amount with Ellis Injury Law because Andy Ellis will take the case to trial and has the experience to win. Insurance companies will often try to settle medical and vehicle claims for the lowest amount possible. Not when Ellis Injury Law is around. Andy Ellis also has the experience to handle complex claims with multiple responsible parties. Many accident cases are not caused by just one person or entity, but by several. Negligent parties in trucking accidents, for example, can include the driver, the company that owns the truck, the maintenance contractor, or any of the contractors who load and unload along the route. If you have been injured by a truck whose brakes failed, the parties liable could be any one or all of these. When you or a family member suffers a serious injury, you need a lawyer with the experience to win at trial, and Andy Ellis has demonstrated that expertise over 20 years of practice. Our lawyers are experienced with every type of injury and we work with the best medical experts and investigators. If you or a loved one is in an auto accident, it’s crucial to contact a lawyer as soon as possible afterward. Evidence for your case is key to winning it. If time is lost, evidence can be lost due to weather, the passage of even a few hours, or people who saw an accident going home without anyone obtaining their contact information. Another driver’s skid marks as he had to slam on the brakes can be washed away by rain. Your injuries and bruises may be less visible the next day. Eyewitness testimony about an un-signaled lane change by the other driver could be lost. All of this evidence needs to be captured as soon as possible. $3 million for the family of a delivery van driver struck and killed by a truck driver who was asleep at the wheel. $2.9 million for a rear-end collision resulting from an unsafe lane change, causing life-threatening injuries. $2.4 million after a lengthy, three-year court battle involving chronic soft tissue damage from a freeway crash. $1.4 million for a truck accident causing neck and back injuries that required surgery. $1 million after a bus rear-ended a taxi cab with such force the car ahead of the cab flew up into the air. $1 million for multiple fractures after a medical van driver failed to secure a patient going in for dialysis. We’re blessed to have a Kern County office location, one of the fastest-growing cities in California. Ellis Injury Law attorneys are driven by the personal satisfaction derived from winning for our clients in our community. You can call our office any time for a free, comprehensive, no-obligation consultation. Our office is located at the tall, modern Cal Twin Towers building, in the heart of the business district at 4900 California Avenue. We are near the West Park Community, just south of the Kern River. Why choose Ellis Law Corporation? Though the areas of law pertaining to each type of case can be incredibly complex and unique, the common denominator is the substantial financial and emotional toll the injuries can take on the individuals and families involved. Our lawyers will review each case carefully, crafting the right legal strategy necessary to achieve a fair resolution that adequately compensates victims where negligence is a factor. $4.1 million for burns, scarring, and loss of wages as a result of an exploding propane tank. $3 million for wrongful death as a result of an 18-wheeler rolling over on a delivery van with a driver (the deceased) and his two daughters in it. The 18-wheeler’s driver had fallen asleep after a longer-than-mandated shift. $1 million from a birth injury, in which a baby received a serious head injury during an emergency C-section. $865,000 for a slip and fall injury caused by a leaking refrigerator, which caused a pool of water near a movie theater’s concession stand. To see more verdicts and settlements, review these results. How Do I Know How Much My Personal Injury Case Is Really Worth? Multiple factors go into determining compensation amounts. For medical and hospital bills, for example, settlements or jury awards usually cover the amounts insurance companies don’t pay. The same is true of therapy and rehabilitation costs, including costs for renovating rooms for handicapped use. Loss of wages are compensated by paying any wages lost due to illness or injury. There is usually a formula for determining any pain and suffering a client or loved one went through. Past settlements do not guarantee future results, but a perusal of our results page will give you an idea of the range and type of settlements and awards that Ellis Injury Law routinely obtains for our clients. Is There a Statute of Limitations for Filing a Lawsuit in California? Legal claims in California must be filed within two years of any accident that caused the injury or death, or two years from the date of the first manifestation of any illness caused by the defendants. Most cases do not go to trial. Why? Because pretrial settlements are ultimately less injurious to the reputation of the defendants. Defendants, judges, and juries are not always predictable and there can be no guarantees or promises of an outcome. 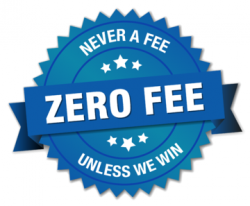 Therefore, it is crucial to have an attorney like Andy Ellis who is an expert pretrial negotiator on your side, but who also has the acumen and experience to take your case to court if necessary — and WIN. If you’ve been injured in a car accident, suffered an injury on someone else’s property or been hurt in a slip and fall accident, you have the right to take legal action. A Bakersfield personal injury lawyer will make sure that you are equipped with a knowledgeable lawyer that will fight for the settlement you deserve.